A standard pair of boxing gloves just aren’t going to cut in when training MMA. Sure, they’re great when doing strictly stand-up fighting. In fact, they’re mandatory when doing strict striking work. But have you ever tried grappling with them? Have you ever tried training full MMA style with a pair of big, restrictive boxing gloves? You can’t grapple with them. They’re so bulky that it’s far too easy for you or your opponent to lock the gloves in place and nullify the offence. 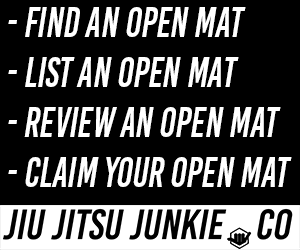 Good luck trying to escape from an arm-bar or trying to yank your arm free out of a triangle. The boxing glove is going to keep you there in the mess with no escape. You need a specialised pair of MMA gloves. There’s no get around here. MMA gloves generally weigh between 4-8lbs and always feature an open-hand design so that you can grab and grapple effectively. Though they have enough padding around the wrist and knuckle to provide you with much needed support without restricting your movement. Whether you have never owned a pair of MMA gloves before, or if you’re in the market for a new pair but don’t know what to buy, we’ve got you covered. Hayabusa are undoubtably one of the biggest brands for MMA gear. They’ve released countless beautiful lines of gloves, shin pads, gi’s, gym bags, etc. Whatever you’re looking for that’s MMA and BJJ related, they’ve got it. They’re known for their iconic Japanese style, but beneath the looks is some killer gear. No matter what the glove looks like on the outside, you can rest assured that function and usability is the core component beneath it all. Their patented Dual-X Wrist Closure system provides unparalleled support for your wrist, fingers and hand. If you want to train hard, you can. No worrying about destroying your hands in the process. Though they have a thumb-free design, so you still have full grappling freedom. These gloves are also official regulated weight for MMA competition. You can take them from the mats to the cage. These 7oz gloves feature more curved padding around the knuckles than most gloves do, which makes them perfect for sparring. The extra padding allows you to train and fight harder than usual without fear of cutting your partner or even knocking them out cold. There is even more padding around the thumbs. Anybody who has trained boxing, Muay Thai or MMA for any period of time knows how delicate the thumbs are. One tiny thumb injury can really hinder your progress. The padding can prevent these injuries whilst grappling. Everlast have built a strong name and brand with their excellent MMA equipment and these gloves are no different. Sturdy and durable, these gloves will last you a long time. Venum are known in the MMA world for their stunning gear and equipment. You can purchase these in 4 different styles: Black and white, black and orange, black and green and a really cool two-toned black. The whole glove is more sleek and slender than the Everlast gloves, leaving them at 4ibs instead of 7ibs. If you’re more interested in a grappling-based MMA approach than striking, then these might be for you. The smaller design allows you to shoot in small openings that you wouldn’t be able to with bulkier gloves. When a sudden opportunity for an under-hook presents itself, you’ll be able to take full advantage of it. Though they still have more than enough padding to allow you fight and spar full contact with them. The ultra-durable Maya hide material on these gloves means that they’ll last for ages. No matter how many sparring sessions you put in or how many haymakers you throw at the heavy bag, they’ll hold up. Bad Boy are an affordable brand of boxing and MMA equipment that have seen a surge in popularity in the last couple of years. Trainers and trainees alike have realised that they can get the same high quality product that they would get from a brand like Fairtex, but at a far cheaper price. Unlike other cheaper brands, these gloves actually look good. Bad Boy have their own specific style and motifs they utilise on all the products. You can choose from blue, red and yellow and all look fantastic. If you’ve seen the first three seasons of The Ultimate Fighter TV show, and you should, then you might recognise this entry. This is the glove used on those formative seasons by the contestants and is the original MMA training glove. The first glove to feature the curved, rounded padding to allow full contact sparring without cumbersome boxing gloves. You don’t get featured on an international MMA television show if you’re selling a subpar product. The padding disperses shock just like a 16oz boxing glove would, reducing the likelihood of cutting your training partner or just generally causing too much pain. The leather construction allows them to withstand a significant and prolonged beating without breaking or falling apart. It’s really hard to fault these gloves. With their affordable price, they’re almost the perfect MMA sparring glove you could buy. If you’re fed up of having to use dirty, smelly second-hand gloves in class then any of those 5 gloves will be a life-saver. Though all 5 pairs are perfect for pretty much any kind of martial arts training that you wish to undertake.